Our goal at TermLife2Go is to provide our clients with the right company tailored to each client’s unique need, health and lifestyle. 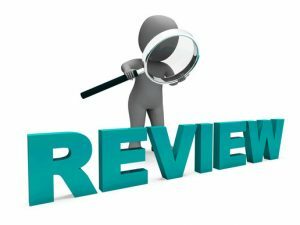 In the following American Amicable review, we will offer some insight into the company’s no exam life insurance and help you determine if it is the right fit for your specific needs. In 2010, Industrial Alliance bought American Amicable Insurance Company of Texas for $145 million. However, American Amicable has a much longer history than that. The company was started in Texas back in 1910, and has been offering innovative life insurance policies ever since. A.M. Best Company is one of the most reputable third-party reporting and rating companies around. They have granted American-Amicable an “A” or “excellent” rating. A.M. Best has 15 rating categories, of which “A” is the third highest. This rating was granted in February 2015. When you learn the ratings of a life insurance company, it’s important to know when the rating was granted so you know how current it is. American Amicable’s A.M. Best rating of A should reassure life insurance seekers like you. This says a lot about the quality of the company and their life insurance products. A.M. Best is basically saying that your investment should be safe with American-Amicable not only now but in years to come. American Amicable offers different types of life insurance policies. However, the product we will focus on in this American Amicable review is the company’s no medical exam life insurance: Term Made Simple. Term Made Simple is simplified issue level term life insurance. Simplified issue means there is no life insurance physical exam or blood work required. Level premium means the rate will never change during the life of the policy. Term Made Simple also comes with a conversion option so you can convert all or a portion of the policy from term life to permanent life insurance with no evidence of insurability. Accelerated Benefit – if confined to a nursing home for a period of time you can recieve a monthly benefit of 2.5% of the face amount up to $5,000 per month. Waiver of Premium – company will waive premiums if your become totally and permanently disabled. Terminal Illness – you can receive up to 100% of the face amount if diagnosed terminally ill with 24 months left to live. Chronic Illness – you can receive a portion of the death benefit if you are unable to perform 2 of 6 activities of daily living. Total Disability Benefit – provides income protection during period of disability. Children Insurance – can be converted to up to 5 times original amount with no evidence of insurability. Is American Amicable a good life insurance company? Without a doubt, yes, American Amicable is a great life insurance company. They are reliable and have been in the business for a long time. They also have a vote of confidence from A.M. Best which is one of the best rating agencies in the country. It’s certain that American Amicable is a great life insurance company…but the real question is whether or not it is a great company for you. The only way to know if a life insurance company is a great choice for you is to know what everyone else is offering. Otherwise, how will you know if what American Amicable offers is the best or not? The best life insurance company for your aunt, sister, or friend is not always going to be the best life insurance company for you. That’s why you need to turn to someone who will be able to offer you answers not only about American Amicable but about many other life insurance companies as well. TermLife2Go is your go-to company. We help you learn about ALL your options. We assess your needs and personal situation and then figure out what dozens of the best life insurance companies in the United States will offer you. We then tell you which life insurance companies will offer you the best life insurance coverage at the best life insurance rate. Our recommendations are always personalized. If we think that American Amicable is best for you, then we will tell you that. But, if they aren’t, we won’t try to sell you a product that’s not right for you. We’ll tell you about better life insurance options for you. If you would like to know more about American Amicable along with many other top life insurance companies, then call TermLife2Go today! Thank you for reading our review of American Amicable. If you have any questions or comments, please leave us a message below. We can help. Please call us at (888) 234-8376 and speak with a licensed agent. Let us help. Please call us at (888) 234-8376 to speak with a licensed agent. We would love to help you find the right life insurance policy for your dad. Call us at 888-234-8376. My Sister Passed Of The 7th And She Didn’t Have Life Insurance So It Made Me Think About My Life And What Would Happen If I Left My Children With Out Having Life Insurance So Now I’m On The Hunt For Life Insurance So That My Children Don’t Go Throw What I Had To!! Please be on the lookout for our reply. Please send quotes for final life insurance coverage. – How old you are? – What state you live in? – How much coverage you would like? – And which “types” of final expense policies you would be able to qualify for? So please be on the lookout for an email from one of our agents so they can get a little bit more information from you so we will know what to send out. We will have an agent reach out to you first so that we can get an idea about “what” to send out to you. For example, how much insurance coverage are you looking for? We will send an email response to your request ASAP! We’ll have an agent reach out to you via email so that we can give you an idea about how much it will cost to get your sister insured. I was wondering if there was an insurance policy that I could take out on my sister without her knowing. She is a drug addict but I have custody of her kids and will have to pay for her funeral cost if something happens to her this will take money that I need to raise her 4 children. We’re sorry to hear about your sister and do wish she that one day she decides to turn her life around. That being said, we would also like to help you out and find a life insurance policy that she would be able to qualify for. The problem is that in this situation we would need to first need to have your sister “acknowledge” and “approve” the fact that you were thinking about placing a life insurance policy on her life and… we would need to find a life insurance company that would be willing to insure her in spite of her current condition. Now there are life insurance policies out there that won’t require your sister to take a medical exam or disclose the fact that she is drug addict, but these policies are generally limited to around $25,000 in coverage and will usually only cover individuals over the age of 50.
and then just give us a call if you have any questions. Just give us a call and we’d be happy to help you out. It would all depend on which insurance policy you decide to purchase. Why don’t you give us a call so that we discuss which insurance policy you are talking about. Please give quote for 10 year term life. – What is your current height and weight? – Do you check your blood sugar daily? If so what’s a typical average score? – When was the last time you had your A1C checked? What was the value? – In the past 12 months, have you used any tobacco or nicotine products? – What prescription medications are you taking? In addition to these questions, each response that you’ll give will likely initiate one or two follow up questions as well. This is why we simply don’t quote via email, it just doesn’t make any sense when the quote that you would receive has essentially ZERO chance of being accurate. Our recommendation would be for you to give us a call when you have 5 or 10 minutes and we’d be happy to do our best to help you out. Once I sign up, when is the full policy pay out amount available? 1yr, 2yrs, immediately? Without knowing which type of policy you are talking about, we wouldn’t know how to answer this. Why don’t you give us a call so that we can be certain to answer you questions accurately. Not a problem, just give us a call and we’ll be more than happy to go over your options. Just give us a call and we would be happy to go over some options with you.